Come out and see Greg tear up the stage, in one of the best venues in the country. You’ll see why ‘VEGAS MAGAZINE’ called Morton’s act “completely entertaining.” Greg Morton is “energetic, fast, intelligent, bizarre, original, spontaneous, and slick,” The Stardome has the only stage big enough hold this many adjectives! Comedy Club Stardome has been in operation for over 30 years, bringing you first class entertainment, and four star service. There are few club owners who understand the business the way owner, Bruce Ayer’s does. His love of entertainment and respect for performers, is the reason, Comedy Club Stardome was voted the #1 club in the country! 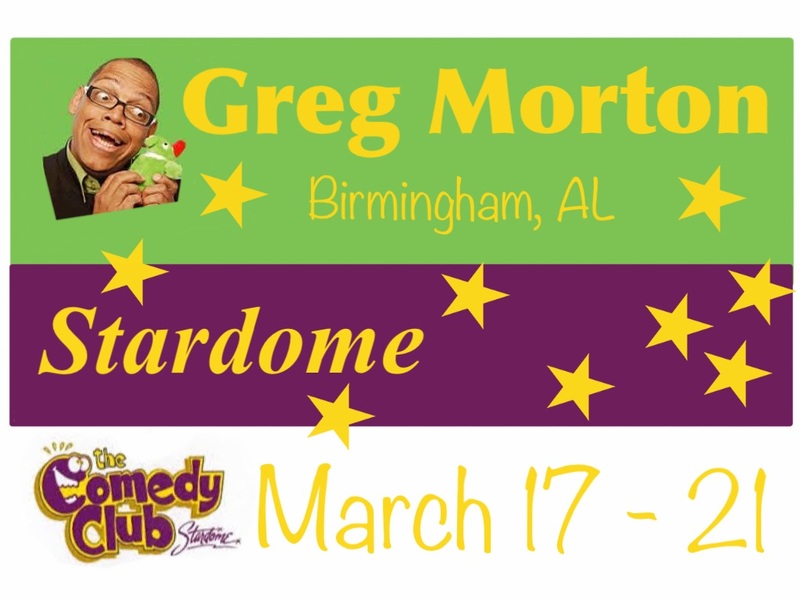 Greg Morton appears at the Stardome all this week!